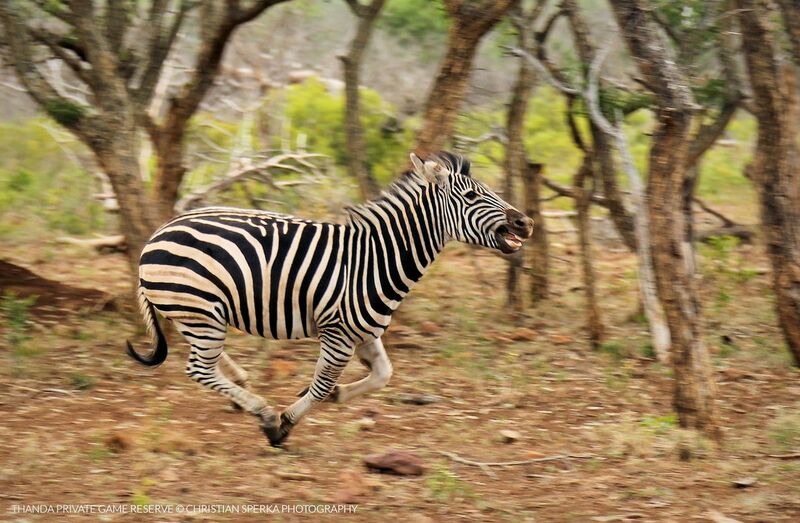 This young Thanda Zebra stallion was in a hurry when another male gave him a good chase. 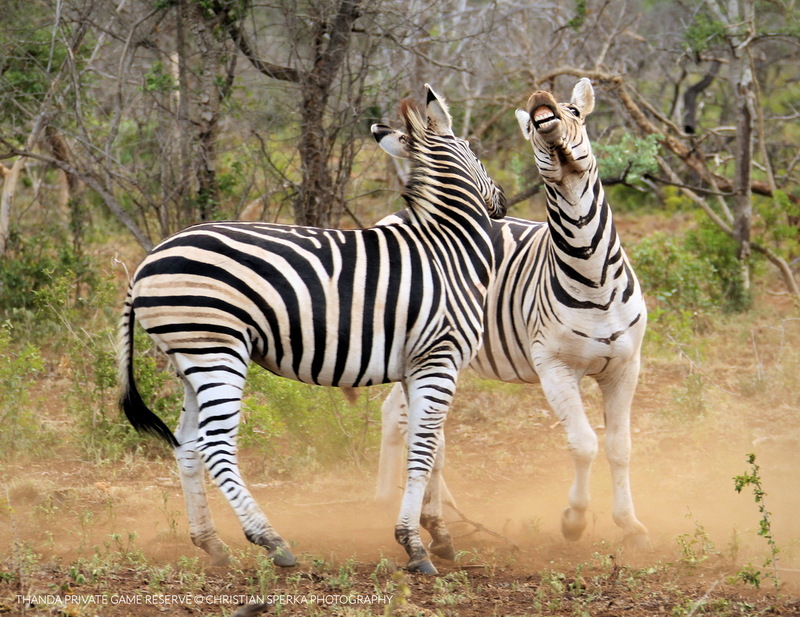 It is always great to see interaction between Zebras as most of the time they are just grazing or walking. ← Watching the boys fight!